Rosacea is a chronic, lifelong skin condition that affects (most often) the face. The disease is common: approximately 1 in every 20 Americans has rosacea. Women are affected more often in the early stages (flushing and erythrosis), but more men progress to the advanced stages and rhinophyma is seen almost exclusively in men over 40 years of age. Rosacea is characterized by various skin disorders and sufferers must contend with skin flushing, erythrosis (reddish or purplish discoloration of the skin), teleangiectasia (permanent enlargement of small blood vessels), papulopustular rosacea (papules are small, red, raised bumps; pustules are similar but they contain pus) or rhinophyma (enlarged, red, swollen nose) and for many people, some of these signs and symptoms are very common; approximately 94% of people with rosacea have flushing. These attacks last from a few minutes to several hours, and the flushing seen in rosacea is intermittent in nature. The disease, to a greater or lesser degree, is progressive, and the more pronounced skin lesions will usually follow sporadic episodes of flushing. The exact cause of rosacea has not been determined, but here are many theories. Exposure to the sun may be one factor, and exposure to the sun can precipitate acute episodes of flushing. Another possible cause are skin mites, Demodex folliculorum and Demodex brevis. These tiny insects usually live at the base of hair follicles. They are often found on the faces of people with rosacea, and it has been suggested that they may initiate an inflammatory reaction (Inflammation dilates blood vessels and this contributes to the flush, and it may also damage the blood vessels, causing them to be permanently dilated). Infection with the common bacteria, Helicobacter pylori, has also been suggested as a cause. There may also be genetic defects in the vasculature of the skin that causes hem to become easily – and permanently – dilated. The signs and symptoms of rosacea are not dangerous, but they can be uncomfortable, unsightly, and disfiguring. (However, rosacea can affect the eyes. Approximately 3% to 58% of patients with skin changes will have eye problems and rosacea keratitis can lead to blindness). Yet although there is no cure for rosacea, the disease can be managed. Topical medication, oral medications and laser therapy can all be used to control flushing and to remove some of the skin blemishes, swollen blood vessels and discoloration. However, it would be far more preferable to prevent outbreaks of flushing and the development of erythrosis and papulopustular lesions. It is well known that there are certain factors – sunlight, stress, heat – that can trigger rosacea signs and symptoms, and food has been identified as a trigger. What foods have been implicated as causes of rosacea signs and symptoms? The list is long, and there is obviously individual variations in susceptibility: high doses of B6 and B12, chocolate, tomatoes, hot beverages, hot sausage, red pepper, black pepper, vinegar, paprika, white pepper, garlic, wine, hard liquor, beer, cheese, yogurt, sour cream, milk, citrus fruits, eggplants, avocadoes, spinach, raisins, figs, bananas, and marinated meat. Why do these foods exacerbate rosacea? No one knows for sure, and given the fact that the exact cause of rosacea hasn’t been clearly determined, that’s not surprising. However a look at the pathophysiology of rosacea may provide some clues. The flush that is so common in people with roseacea is caused by dilation of the small blood vessels of the face. Why this occurs is not certain. The blood vessels may be genetically weak, or they may be damaged by years of exposure to the sun. There may also be an increase in the number of blood vessels, or there may be damage to the walls of the blood vessels. Whatever the cause, the blood vessels (which in the face are very close to the surface) dilate. Many of the foods that trigger flushing attacks most likely do so by increasing body temperature, and in order to lose body heat, blood vessels dilate. Others may cause flushing by stimulating the release of histamine. This is a naturally occurring substance that dilates blood vessels and some foods, e.g. beer and citrus fruits may stimulate the release of histamine. Find our more about rosacea treatments such as the rosacea laser treatment here. Rebecca Prescott is a health writer presenting natural and medical treatment options for rosacea and acne. People who suffer from rosacea often have a very sensitive skin which doesn’t tolerate certain treatments that include chemicals and other substances which may cause severe damages for the skin. In addition to this, patients should avoid products which may contain certain ingredients, such as retinol, different kinds of acids, alcohol and many other substances which are toxic. In order to treat rosacea and to ameliorate its symptoms, the specialists have managed to produce a special treatment known as Rosacea Ltd III. Rosacea Ltd III includes more than 99% snoothing and calming ingredients and has been designed especially for acne ,pimples, seborrheic dermatitis and also for the sensitive skin. It is important to say that Rosacea Ltd III is composed of different ingredients like zinc oxide, magnesium stearate, sodium chloride, copper oxide, substances which don’t affect the skin texture such as other sources for cleaning:soap, astringents and lotions which contain alcohol. Much more, Rosacea Ltd is very well tolarated by the body system, does not interact with other drugs, doesn’ t produce side effects such as nausea, constipation, watery eyes, burning sensations and not in the last place it is safe for pregnant and nursing women. First of all, Rosacea Ltd III as a vascular constrictor brings great results in calming the skin and reducing the redness caused by the broken blood vessels. Moreover due his neutral pH, Rosacea Ltd III doesn’ t damage the skin but it has a great effect in killing bacteria, fungal cells and viruses. Secondly, Rosacea Ltd III is usually used in treating acne, pimples and seborreheic dermatitis, infections which usually come along with rosacea. Furthermore, this treatment offers significants results and the time for treating is shorter in comparision to other medicines. Rosacea Ltd has a fast effect, healing the broken capillaries which produce redness on the skin and flushing in less than 2 months. Much more, it clears the rosacea papules and pustules in about 10 days and also has an important role in preventing the recurrence of other pimples and infections caused by rosacea. Thirdly, treatments with Rosacea Ltd III are used in treating the symptoms of ocular rosacea such as blurred vision, red eyes, swelled, dry eyelids and others. Another way to treat rosacea is the well known Sobye’s Massage, a mechanism of action which accelerates lymphatic drainage and in this way the facial redness tends to vanish. In addition, facial massages together with cleansing of the face with a washcloth and soap are two efficient methods which help the skin to regain its normal and healthy aspect. To sum up, Rosacea Ltd III is a blessing for the people who suffer from rosacea being gentle and effective at a low cost and moreover due its neutral pH which has created a special diet known as "rosacea ph balance diet". All patients with potential signs and symptoms of a Rosacea condition must immediately see a dermatologist to prevent complications like rhinophyma or teleangiectasie and even to reverse progression in early stages. Left untreated, Rosacea gets worse and becomes harder to treat and keep under control. Even persons with advanced forms of Rosacea should keep their faith as rhinophyma and teleangiectasie can be improved by laser and plastic surgery therapies. Rosacea cannot be cured but there are plenty of methods to improve the condition and prevent it from becoming worse. About 87% of the cases can be controlled with proper treatment; the availability of ways to care for Rosacea varies from oral and topical antibiotics for avoiding papules and pustules and laser therapy or surgery to treat rhinophyma and teleangiectasie. Very often, a combination of therapy ways is chosen to ensure a faster recovery; most often oral antibiotics are combined with topical ones for a both systemic and local effect. The most commonly local therapy used for keeping papules and pustules under control are Azelaic acid, Benzoyl peroxide, Clindamycin, Erythromycin, Metronidazole, Sulfacetamide and other sulfur lotions. All products for topical use must be prescribed or approved by the curing physician and not taken at random like some patients might prefer. Even skin care products must be shown to the dermatologists as some may even be important triggers of the condition. 1.Glycolic acid peels applied and kept on the face for about 5 minutes. They must be given every 2-4 weeks and tend to turn the skin red for few minutes so the patient must avoid sun until the skin regains its normal color. 2.Glycolic acid washes and creams are used in low concentrations to increase the peeling effect. More severe cases of Rosacea are treated with the usage of Isotrentinoin that shrinks the thickened skin and decreases the number of Rosacea pimps. It can have major and dangerous side-effects so only some particular patients can become users of the product. Eyelids can also be affected and should be cleaned with baby shampoo to diminish inflammation. Warm to hot water compresses must be additional therapy in such cases. Oral antibiotics used for caring for eye problems are Doxycycline, Minocycline and Tetracycline. What is rosacea? The truth is that not much is known about rosacea. Doctors used to assume that it was closely tied to acne but new investigations have shown it to be a syndrome that varies according to each particular patient. As a whole, most patients live with flushing and inflammatory papules and pustules. There are no dangerous health risks associated with rosacea symptoms but they can arouse significant psychosocial impairment. Currently, there is no unequivocal rosacea cause or rosacea cure. Rosacea skin care products can only regulate the condition. Estimates believe that between 12 to 15 million Americans live everyday with the symptoms of rosacea. The stigma of rosacea leads to low self-esteem, stress on the job, and social isolation. Since there is no cure for rosacea, the primary goal of all rosacea treatments should be to improve the the everyday life of rosacea sufferers. Luckily, advancements in the treatments for rosacea are making it possible to more accurately tune treatment to address the individual needs of each patient, leading to improved outcomes. Many new therapies have recently been established for treatment of rosacea. Azelaic acid is a comparatively new rosacea treatment drug that can also be used to cure mild acne as well. The principle aspect of it is that it helps by halting the development of skin bacteria that causes acne, rosacea and other skin problems. Keeping skin pores unhindered is a very important way to avoid acne and rosacea inflammation. The negative side is that being a more modern rosacea skin care treatment, there have not been in depth studies studying the possible side effects later on down the road. It is possible someone could have stinging, scaling, and eczema after regular usage. Metronidazole is a chemical compound drug used mainly in the treatment of inflammations caused by bacteria, fungi, and parasites. It is prescribed in pill form and maintains pores open, similar to azelaic acid. Regular adverse reactions associated with metronidazole therapy include upset stomach, dizziness, and vomiting. One needs to be careful when taking this powerful drug since the International Agency for Research on Cancer has named it as a possible human carcinogen. Since you can not fully treat rosacea to the point where it will never return, controlling it becomes important. Thanks to a new all natural ingredient, you can biologically contol rosacea redness. The natural rosacea treatment can kill skin bacteria like the other chemical compounds without all the adverse side effects and make sure you feel comfortable with your own complexion. * destroy bacteria and microbes on the skin with innate antimicrobial peptides to fight fungi and microbes breeding on the skin. Having bacteria free skin lowers the odds of breakouts since bacteria growth on the skin is one of the main reasons rosacea develops on the skin. * manage the inflammatory response of the body, abating the reddish hue of rosacea papules and pustules. Rosacea inflammation can be due directly to extreme inflammatory responses from the body that kill healthy skin cells. * digests scar tissue and promotes the reconstruction of collagen and elastin levels in the skin. * the biological enzymes repair, renew, and restore the luster of skin naturally. Increased rubbing just provokes the issue turning it into a never ending cycle of cleaning and new breakouts. 100% Natural Rosacea treatment product need to concentrate on medicating from the inside. We invite you to go to our highly informative rosacea website and read more about how our all natural rosacea cream can help the treatments of rosacea and keep your skin flawless. Explains the medication metronidazole (Flagyl) an antibiotic drug used against anaerobic bacterteria and certain parasites like giardia and ameba that can infect parts of the human body. Article includes descriptions, uses. What is metronidazole? Metronidazole is an antibiotic. It fights bacteria in your body. Metronidazole is used to treat infections such as abdominal infections, skin and tissue infections, bone and joint infections. Learn about the two types of rosacea, and why rosacea sufferers are often misdiagnosed. Learn the common treatment options for ocular rosacea. Rosacea (pronounced Rose Ay sha) sufferers must be very frustrated people. They have to live with an extremely uncomfortable, embarrassing and disfiguring condition. Worst of all, when they visit a doctor for help, they are often given inappropriate medication which in many cases makes things much worse. Before we look at how many doctors get it so wrong, let’s examine rosacea itself. There are two types of rosacea. Acne rosacea (which is an erroneous term as we shall see), and ocular rosacea. 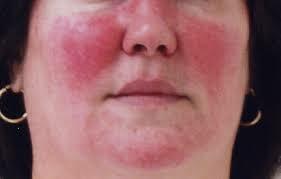 Sufferers of rosacea have red, flushed skin. 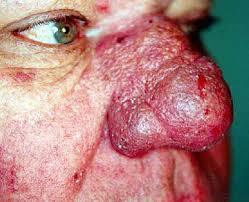 Papules break out on their nose, forehead and cheeks. If they drink alcohol, eat hot or spicy food or increase their body temperature, they suffer severe flushing of the face. Their facial skin is usually dry and flaking. 60% of people who have rosacea develop similar problems affecting their eyes. This is called ocular rosacea. These people have dry, burning, red, sore eyes, and irritated eyelids, with frequent styes. They constantly feel as if there is something in their eye. In severe cases there may be ulceration of the cornea – the clear layer of the eye, covering the iris and pupil. This is extremely painful, and if left untreated, may lead to perforation of the eye and blindness. Treatment for ocular rosacea should involve daily cleansing of the eyelid with cotton buds, paying particular attention to the base of the lashes. It is there that debris and oily secretions gather. An antibiotic ointment can be used with caution, and continued if it is successful. The best treatment for ocular rosacea is tetracyclic antibiotics. Ocular rosacea often includes dry eye syndrome. This can be helped with the insertion of artificial tears at least four times a day. If the dry eye is severe, the tear ducts may be closed with tiny silicone plugs. This is reversible. The other option is punctual cautery, which is a burning of the tear duct to close it. This is usually permanent. Why Do Rosacea Sufferers Get The Wrong Treatment? The common misconception is that rosacea of any kind is caused by abnormalities in the sebaceous glands and micro-organisms of the skin. The confusion arises because rosacea sufferers often have papules but they are not caused by the same things that cause acne papules. Rosacea papules arise as a result of repeated flushing of the skin. Acne can occur at the same time as rosacea, but the two are different conditions. General physicians who believe that rosacea is a skin disease caused by bacteria often give their patients harsh medications (commonly benzyl peroxide) to clear facial micro-organisms, sebaceous glands and pores. This treatment would be suitable for true acne – but rosacea is not acne. It’s a disorder of the blood vessels of the face. In most rosacea sufferers, facial micro-organisms and sebaceous glands are completely normal, and that is where the danger lies. In giving these people harsh, skin ‘stripping’ medications, their skin can become extremely sore and irritated. Topical steroid creams that are indicated in the treatment of acne are often given to rosacea sufferers. These must not be used as they can make the skin very sensitive. Once the steroids are stopped, the skin may become even worse for a while as it is ‘withdrawing’ from the steroids. Learn more about rosacea treatments available here. Rebecca’s site covers the skin conditions, acne and rosacea. Acne Rosacea Treatment – What Are The Best Options For You? Acne Rosacea is a problem that affects many people. Fortunately there are numerous treatments for you to try. Read on to learn more. A common skin disease that is known as Rosacea normally causes bumps, redness, irritating skin as well as visible blood vessels. There have been numerous researchers throughout the years attempting to find the cause but none of them have been able to even though there have been numerous types of hypotheses. Individuals that have Rosacea acne will typically tell you of distinctive irritating factors such as spicy foods, alcohol. Also, being in an environment that is hot or having stressful emotions can worsen Rosacea. Unfortunately at the present time there are no known cures for Rosacea acne. The acne Rosacea treatments that are available typically assist a person to control the symptoms of Rosacea and keep the problem from getting worse. If you have symptoms of Roseacea you need to search for treatment from your doctor because if it is left untreated the symptoms typically grow worse and they may even become permanent. It is crucial to protect your skin from exposure to sunlight with lotions for sunscreens. You should consult with your physician prior to using sunscreens and for advice on buying what is best for you. There are researchers that theorize that a couple of proteins that are inflammatory that the body creates an excessive amount of is stimulating an unusually high quantity of a third protein which then creates the long-familiar symptoms of Rosacea. There are 4 main kinds of Rosacea acne and the acne Rosacea treatments will deviate which is dependent on the kind of symptoms you have. Symptoms of Erythematotelangiectatic such as flushing, feelings of stinging on your face as well as the observance of thin red lines on your face can be treated through the use of oral antibiotics. If your skin is in a lot of discomfort you can use a mild anti-inflammatory to assist with this type of problem. If the thin red lines that you notice on your outer skin, which are in reality very tiny vessels of blood that do not fade away, you may want to check with your doctor in regards to the kind of acne Rosacea treatment that utilizes a pulsed dye laser type of therapy to assist in getting rid of these types of red lines. If you have the Rosacea acne known as Phymstous you will see big pores as well as thick skin that looks bumpy. Phymatous very frequently affects a persons nose yet it also has the ability to create problems for your ears, chin, eyelids as well as your forehead. Noticeable pimples, veins as well as flushing may also be present. There are some doctors that will prescribe to their patients isotretinoin, nevertheless there is the possibility of having some serious side effects that include possible birth defects and it is also highly expensive from a consumer point of view so you may want to check with your physician in regards to using other types of medications. Indications that you have what is known as Papulopustular Rosacea acne include little pimples, facial flushing as well as tiny red lines that can be noticed on your cheeks. Your doctor will likely advise acne Rosacea treatment, for example facial ointments or even medications such as antibiotics and he may even advise that you utilize both treatments at the same time. If you are having to cope with Ocular Rosacea symptoms, for instance eyes that are irritated and dry, many experts suggest that you give artificial tears a try. Your physician might suggest taking antibiotic pills to assist with your symptoms. Possibly a cure for Rosacea acne will be discover in the near future, yet for now there are numerous methods of acne Rosacea treatments that are available that can help you in reducing your symptoms. Listen to Korbin Newlyn as he shares his insights as an expert author and an avid writer in the field of health. If you would like to learn more go to Acne Skincare advice and at Blue Light Acne Treatment tips.